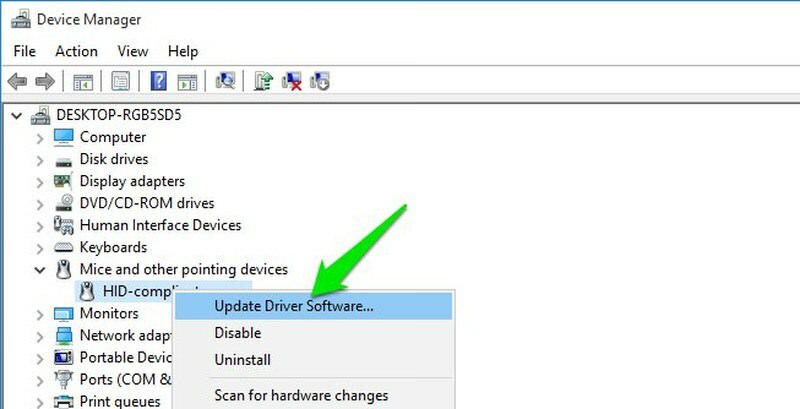 Windows has a built-in hardware troubleshooter that can scan and solve many external device problems automatically, such as problems with the monitor, keyboard and the mouse, etc. To run the troubleshooter, go to the Control panel and open “System and Security”. Here access the Troubleshoot common computer problems option under the “Security and Maintenance” heading. Now open Configure a device option under the “Hardware and Sound” option and start the troubleshooting process. Windows will scan and automatically try to solve the problems if detected. If it can’t solve the problem, it will let you know what is the problem (if detected). Good to know: If the troubleshooter gives error Hardware changes might not have been detected, then there is no need to get skeptical. “Troubleshooter” usually gives this error just to be sure you don’t miss any recent hardware changes. It most probably has nothing to do with your left-click problem. To re-register Windows apps, press Windows + R keys and type powershell in the “Run” dialog. “Windows Powershell” interface should open up. Here enter the below mentioned command and press the Enter key. From the Control Panel, go to “System and Security” and then open View installed updates option under the “Windows Update” heading. To fix this, press Windows + R keys and type devmgmt.msc in the “Run” dialog. The “Device Manager” will open up and you will be able to see all your hardware devices here. Here move to the Mice and other pointing devices option and press the “right arrow” key on your keyboard to expand it. 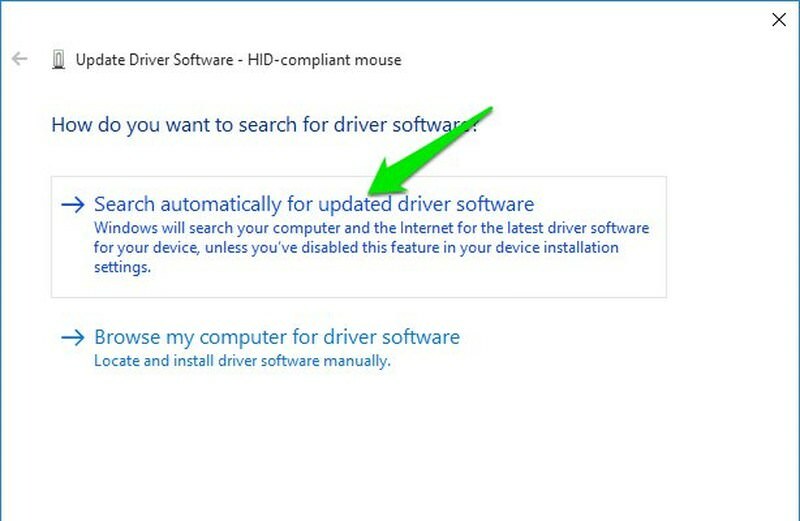 Now right-click on HID-compliant mouse option and select “Update driver software”. 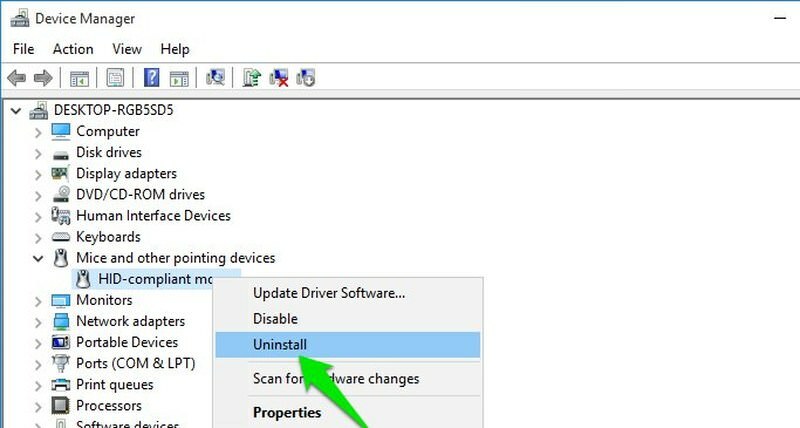 If this doesn’t help, then right-click on “HID-compliant mouse” option again in the “Device Manager” and select Uninstall to uninstall the driver.